We all know that becoming a CA is no joke. There are so many of us who are wanting to know how to become a Chartered Accountant after 12th because it is a reputed professional course. Regular classes and self-study are surely the keys that help CA students crack this exam but there are also many challenges that make study for CA a tough nut to crack. 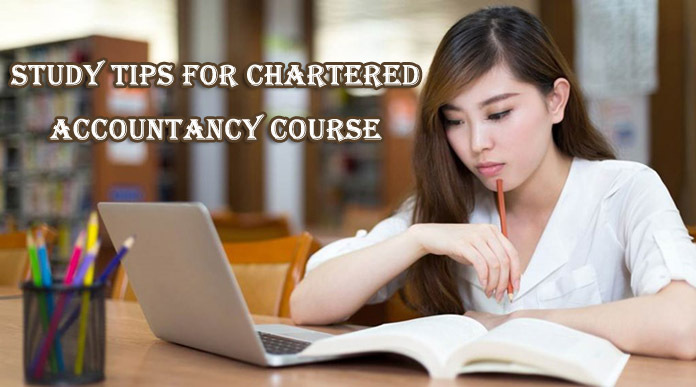 In this post we have come up with some helpful Chartered Accountant study tips that make the dream of becoming Chartered Accountant in India a reality. If you are pursuing CA or planning to opt for it, you need these study tips for Chartered Accountancy course to pass with flying colours. This works as a complete guide to CA examination when it comes to what things you should be doing. The first most important thing is to know your syllabus. Find our contents of each paper that you have to take to have an idea about the vastness of course and also its difficulty. Strictly and clearly define your study time. The best way to go about it is by creating different slots with breaks in between two slots. Study first what you are confident about. Don’t stick with a question if you are not able to solve it. Mark it and move ahead. Consistent studies are must for CA students. Studying everyday for a set number of hours will keep CA motivation high and confidence levels good. Each day select a paper or topics and study them properly. Repetitive study of the same topic might be required to understand it properly and remember it effectively. To be able to crack practical papers, you will need more and more of practice to solve different kinds of problems. To be able to crack theoretical papers, you will need to study topics in detail and revise them again and again so that you are able to by-heart them. Both kinds of papers require equal time and attention along with consistency in studies. It is a good idea to create notes while you are studying as they are very helpful when you revise your course. Moreover, when you prepare notes, there are better chances that you will remember what you are writing with your own hands. To strengthen your performance and confidence, you must revise from the study modules and revisionary test papers. They are also important to understand the format of each paper and revision of course. The more you practice, better will be your preparation. Once you are done with your course, it is time to revise it. You must at least revise your course two to three times so that you remember everything you have studied and you know your strong and weak areas as well. It is important to keep a track of your progress from time to time. This will help you know your weak areas and strong areas to work in a more focused way. It is very important that CA students are always updated with the changes that have been made in direct and indirect taxes by the government. Follow the news regularly to know about these changes. Your approach in preparation and on the final day matters the most. Don’t let any negative thoughts affect you when you are preparing for your studies or when you are taking the exam. Each hour of study that you put in will add on to your performance and this will make you more confident. Your confidence is very important when you will finally write your exam. To calm your mind and improve your concentration, it is important that you meditate. Don’t compromise with your sleep because freshness of mind is very important to study well. Taking small naps in between study sessions is again a good way to refresh mind. So keep these study tips for Chartered Accountancy in mind and you will surely do a lot better.